You could be trekking along the trails of Nepal on your way to Everest Base Camp or sliding down the mountains of the Kokoda trail or even standing at the summit of Kilimanjaro you will need to know how to load your back pack to ensure a safe and stable load is attached to your body, which conserves maximum energy for your body to cope better. For maximum stability, load your backpack so the heaviest equipment is next to your back and centred in the pack. Medium-weight gear should be carried toward the top and outside portion of the pack and lightweight gear, like your sleeping bag, should be packed in the bottom. In order to pack your backpack correctly, you may want to lay out all of your backpacking equipment to get it organised. This is a great way to make sure you have all your gear and organise it by weight. Another good idea is to cluster similar small items, such as eating utensils and bathing gear together in zip lock or stuff bags. You may want to even go further and colour-code them as well. It is also a good idea to store food and liquid fuel in bags to prevent spills. Certain items like a GPS, insect repellent, snack food, rainwear, or a head lamp may need to be accessed at any time. Because of this, these essential things should be stored inside a front pocket, top lid, or in the top of the main compartment so they can be found with minimum searching. 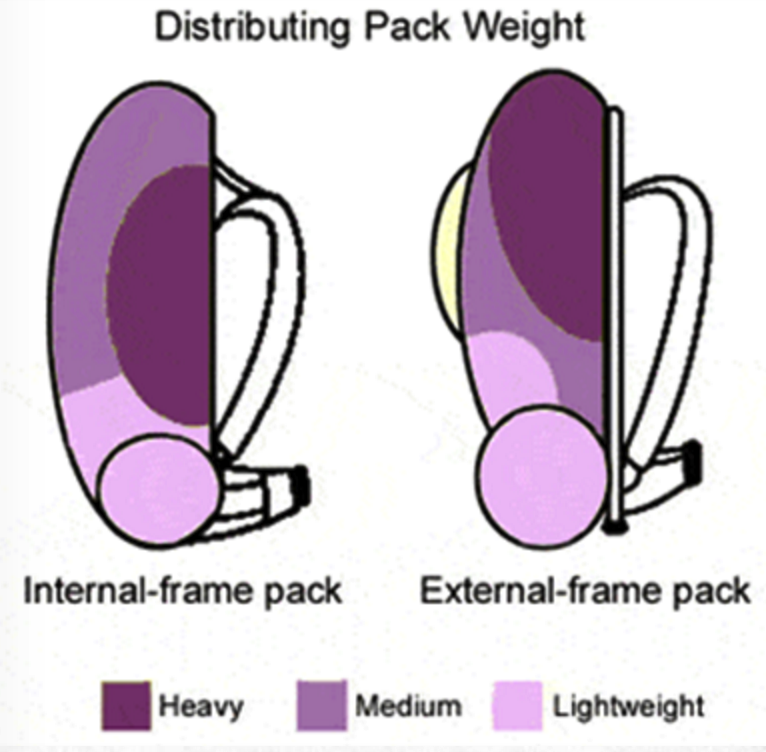 After your bag is loaded and packed, tighten all compression straps to limit load-shifting while hiking. If you have packed your backpack properly and have the right pack size, you shouldn’t need to attach much to the outside. However, sometimes it is necessary due to limited space or odd shaped items. Try to avoid doing this, however, because lashing gear to your pack could affect your balance and may also swing, rattle, or snag plants on the trail. To avoid stability issues, be sure to balance weight of items attached to your bag. Trekking poles can be vertically attached on the outside of your backpack on either or both sides beneath compression straps and tucked inside the water bottle pockets on the bottom of pack if available. If your backpack has a daisy chain on the front, you may also utilise this to hang gear from. Although it is intended for mountaineering equipment, you can improvise with rope or carabinier to hang items. This guide talks about larger 60l hiking packs however the same is applied to smaller day packs. 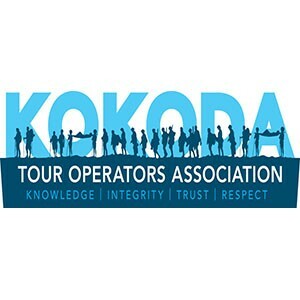 When buying you pack for the Kokoda trail, Mt Kilimanjaro or Everest Base Camp ensure it is the correct length and is comfortable with a load placed in side it in the shop before you purchase it. If the shop attendant appears to not have a great deal of knowledge of fitting a pack to your back lengths (which male and female are different) and you can’t have 5-10kgs placed inside to get a feel for the weight distribution and comfort, walk out and go to a specialised camping store.